Not having power for some people is too much to bare. So they go after it even if it means they have to take it away forcefully. There are not many bloodless coups. Power is too much of a drug for people to stand by without a fight. Even if taken peacefully, the people who had the power will pay some kind of price, either with their lives or with humiliation by the conquerors. No one can forget the sight of Mikhail Gorbachev being ordered around by Boris Yeltsin at the podium after he was forced to step down in the early 90s. With the arrival of March, a couple of events come to mind. One is St. Patrick’s Day, a celebration of St. Patrick, one of the patron saints of Ireland. The other being the Ides of March, March 15th. Besides being an old world celebration day it also known as the day Julius Caesar was assassinated at the base of the Statue of Pompey in 44 BC. This thought brought up the idea of other overthrows that have occurred in history and how important they were to the rest of world order. The United States federal government has been stable since George Washington took office (arguably since the Articles of Confederation) because we have a somewhat organized election that begins a disciplined series of events culminating in the inauguration of the next President of the United States. Some countries never achieve this process resulting in violence and destruction. Here are eight coups that have, in my view, significantly reverberated across the globe. 1. 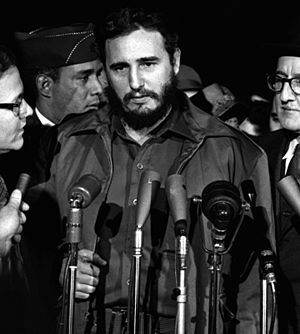 1959: Fidel Castro overthrows Batista. This one is number one on the list because it almost caused two countries to launch missiles at each other a couple of years later. The Cuban Missile Crisis might be one cause that began the whole 1960s free love, live and let live, drugs are fantastic thing in the sixties. They probably figured, “Well, if the governments are going to send missiles at one another at any second, and we don’t have a say in it, we’ll have fun while we can.” In addition, the United States is still dealing with the consequences of Fidel Castro ruling Cuba more than 50 years later with the trade embargo, travel restrictions and a Cuban constituency in Florida that can influence elections. Besides that, there’s the Cuban cigar thing. 2. 1804: Napoleon Bonaparte becomes Emperor of France by a coup d’état. Once Bonaparte came to power, he waged war all across Europe and with Britain. This is high up on the list due to Bonaparte inflicting war and destruction across Europe until the Russian winter stopped him along with his own ego. Russian winters taught Bonaparte a lesson that Hitler forgot or refused to take into account more than a century later. 3. 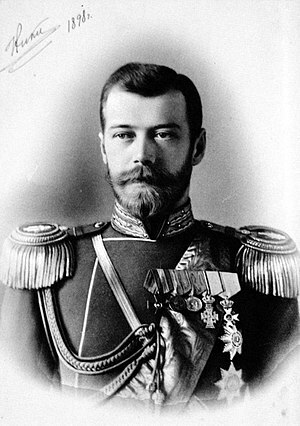 1917–March: abdication of Nicholas II of Russia in favor of the Russian Provisional Government. Call it an abdication, but Nicholas II didn’t give up the Czar title willingly and would have kept it if he had had an avenue to remain on the throne. Arguably his track record as a ruler wasn’t the best. He oversaw the economic and military collapse of his country as well as executed his political opponents. He persecuted the Jewish people inside Russia and generally made poor decisions domestically and on foreign policy. So, Vladimir Lenin had his chance but didn’t survive long enough to keep Josef Stalin out of the dictator seat. Instead, the over throw eventually led to a corrupted, paranoid communist government, Josef Stalin, bad decisions during World War II, an arms race, an Iron Curtain, a Berlin Wall, missile launch sites in Cuba, the edge of total annihilation from nuclear weapons, and several billions and trillions of dollars on both sides used to develop weapons of mass destruction. 4. 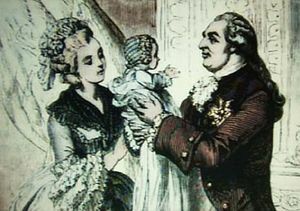 1792- by the National Convention against King Louis XVI of France, the French Revolution. The difference between the American Revolution and the French Revolution is that those in power after the US revolution didn’t go around with a guillotine lopping the heads off the aristocracy, creating domestic terror throughout the land. 5. 1969–Sep 1st: Muammar al-Gaddafi overthrows King Idris I of Libya. A country gets the wrong guy in; it could take more than 40 years to get rid of him. This dictator is on here due to his sanctioning, supporting, and harboring terrorists who executed one horrible event, the Pan Am Flight 103 bombing over Lockerbie, Scotland. This Libyan dictator was a thorn in many government’s sides, including several Middle Eastern countries. 6. 1936- by Francisco Franco against Manuel Azaña. Generalissimo Franco was the picture of opportunism. He helped put down an earlier coup when it didn’t benefit him. Became a leader for the 1936 coup that led to a civil war. He assumed power and remained there for almost 40 years. As I stated earlier, once you get some of these guys in, it is difficult to get them out. He died in 1975. He had economic successes, but it doesn’t make up for the torture and human rights abuses. He kept power through censorship, imprisonment, forced labor camps, death sentences, and other political means. When it was beneficial to him, he moved his foreign policy towards the Italian and German fascist leaders prior to, and during, World War II. After the war, he maneuvered his political diplomacy toward the United States and NATO because he knew NATO wanted to stop the spread of communism. 7. 1909-The Young Turk Revolution breaks out in the Ottoman Empire against the absolute rule of Sultan Abdul Hamid II. This is one coup that actually meant a great leap forward for a country. This coup led to an eventual Turkish revolution led by Mustafa Kemal Ataturk, the father of the Turks. The father of modern Turkey is revered in his country. 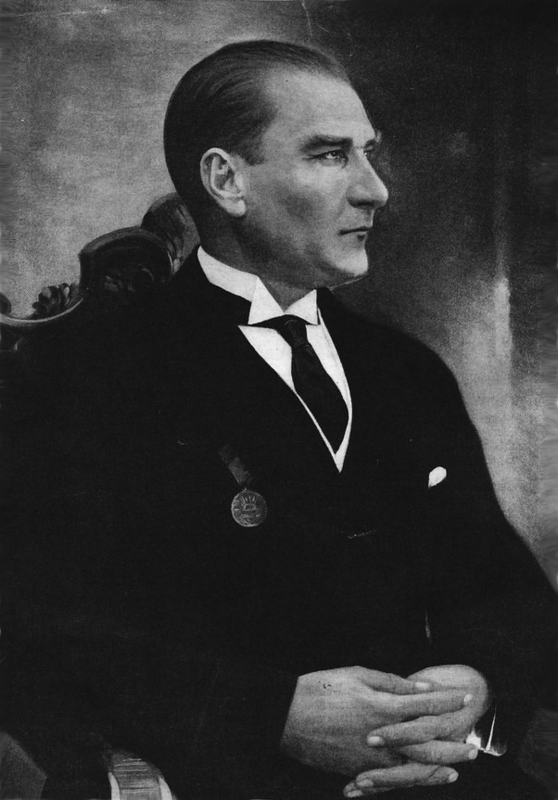 If it is possible to take a country and drag it into the modern world, that is what Ataturk did. He pushed through economic, social, and cultural reforms while creating a secular government. He was instrumental in separating Islamic Law from government. He mandated that Islamic Law be limited to the practice of religion while the government would use secular law. 8. 1971-Military in Uganda led by Idi Amin overthrows government. This dictator’s regime was characterized by ethnic killings, corruption, nepotism, and according to most human rights groups, between 100 and 500 thousand people killed. Besides being arrogant and astonishingly brutal to his enemies, he started a war with Tanzania in 1978, the Uganda-Tanzania War. This war led to his fleeing the country and eventually landing in Saudi Arabia where he died in 2003. The two powerful women featured in this comparison are significant because they knew how to assess their situation, develop influential followers, and then create a plan of action. In fact, few men in history have been so effective at gaining power and then keeping it for as long a period as these two women. Readers may note that one difference between the two seems to be that Catherine the Great had a more positive influence on her country than the Empress. However, the Empress Dowager Cixi had to use her power behind the curtains, influencing decisions within the Emperor or Regent’s power structure. defacto ruler of China for 47 years until 1908, when she died. Born in 1835, she began her rise to power as the Emperor Hsein-Feng’s concubine. Since she produced the only heir to the Emperor, her power increased exponentially until she achieved Imperial Concubine status and then Noble Consort, second in influence only to that of the Empress. She gave birth to their son a couple of years before the emperor died. Her son became Emperor Tung-Chih. Since he was too young, at five years, to make decisions, Tz’u Hsi was given the power with two other partners. She soon became a force in this triumvirate. The Empress gained power when she talked military leaders and ministers into supporting her after the 8 regents selected to run the government alienated them. She was persuasive and influential. According to many scholars, despite pushing through reforms such as instituting foreign languages in schools and creating the Chinese Foreign Service Office, she also had a reputation for corruption and amassing a huge fortune and accumulating wealth. She used the country’s revenue funding for her own pleasure. She retired from office in 1889. Nevertheless, all decision-making ran through her for approval until her death. The new emperor wanted to clean out corruption in China’s government but Hsi didn’t want this to happen so she took the power of the regency again and confined him to the palace. In 1900, the Boxer Rebellion forced her to flee Peking and accept the peace agreement. Toward the end of her life, she changed her mind and worked to eliminate corruption in government the best she could at her advanced age. The Empress Dowager Cixi died in Peking on November 15, 1908, a day after the real emperor, Guangxu. The Empress Dowager is known for political maneuvering, accumulating wealth, and instituting reforms. She is also remembered as the most successful concubine in history. After she evaluated her circumstances and assessed her friends and enemies, she acted without hesitation. It seems her years as a concubine weren’t wasted. She understood the personalities working around the family dynasty and the Forbidden City so that when she moved, she knew who to rely on and who were her enemies. In that time, one false step would have meant death. Catherine the “Great” is a testament to her leadership and reforms during her reign as Russia’s Empress Consort of all Russians. History’s timeline does not record many people with “Great” after their names. So she must have been doing something right while serving as ruler of “all” Russians. She gained power through her understanding of the personalities around her in the royal palace.She came to the Russian Palace from Prussia as a political union to strengthen the Russian-Prussian alliance. 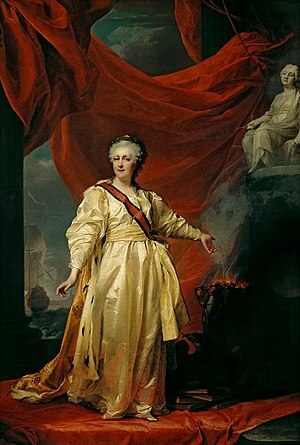 Her wedding to Peter III and her conversion to Russian Orthodoxy as well as her ability learn the Russian language endeared her to citizens and won her favor in the royal family. After her spouse Peter III’s succession to the throne, the new King made several poor decisions that alienated the his advisors and military leaders. These decisions were siding with Prussia’s King Frederick the II and wearing the colors of Austria for his uniforms. His eccentrities alienated the same groups that Catherine had cultivated, showing political savvy beyond her years. Six months after assuming the throne, Peter III left Catherine in St. Petersburg and that’s when her supporters decided to remove Peter III from power, arrest him and put Catherine in the position as leader of Russia. 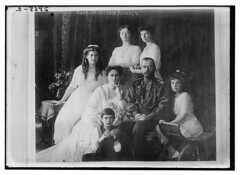 Eight days later, Peter III was murdered in prison by Alexei Orlov, the brother of Gregory Orlov, a supporter of Catherine. Catherine the Great’s ability to cultivate supporters within the nobility, military and government leaders served her well early by consolidating her power until time developed her own reputation. Catherine, like Peter the Great, believed in Western influence and culture as a way to further Russia’s stance in the world. She believed in education and opened schools for russian girls to further their studies. In addition, Catherine expanded the Russian Empire after victories against the Ottoman Empire so that the country had access to the Black Sea. She was also a champion of arts and culture as well as finance reform. Catherine the Great died from complications from a stroke on November 17, 1796. One thing can be stated about the Empress Dowager Cixi and Catherine the Great, they knew how to move within houses of power. 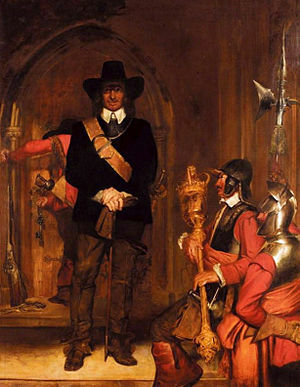 Once they were in a position to gain power, they used their political savvy, intelligence, positions in the royal hierarchy, and their supporters’ willingness to help them, to achieve goals. If any of those aspects had not been present, historians or the victors might have written a different story. What do you think? Write a comment or suggest any other people to compare.